HOUSE TO SELL? WE CAN HELP. A deceptively spacious new 5 bedroom detached family home, arranged over 3 floors, overlooks the Abingworth Meadows pond. Built by award-winning Oakford Homes, this impressive 2,500 sq ft home provides spacious accommodation with contemporary features and a high specification. 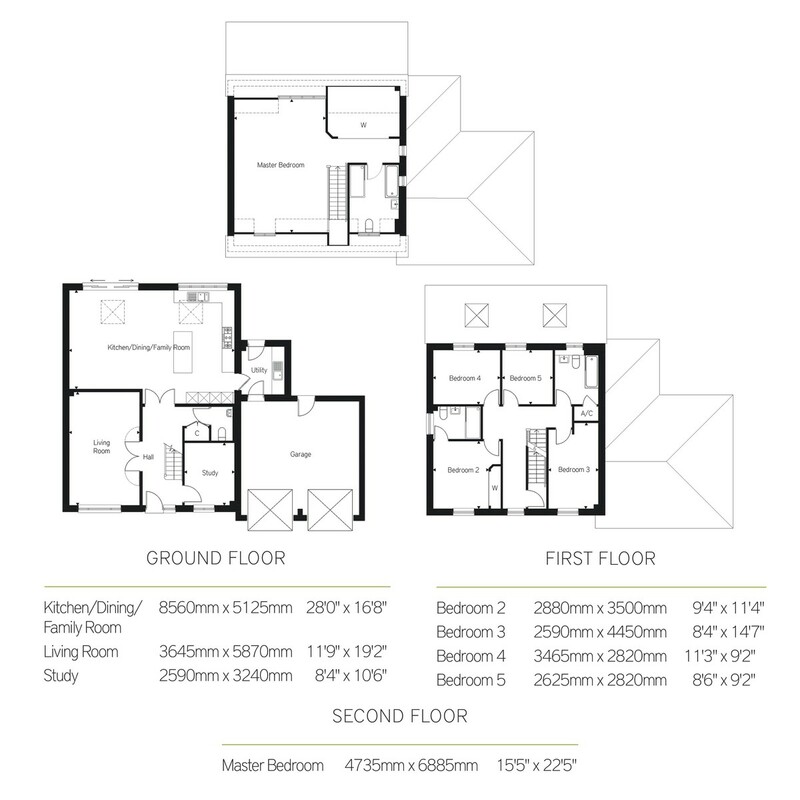 It boasts a top floor 22ft master bedroom, a 28ft kitchen/dining/family room, separate living room and study, good sized rear garden and double garage. Located in the leafy hamlet of Abingworth and only a few minutes' walk to the village of Thakeham, this property is surrounded by an abundance of open spaces and spectacular countryside. This desirable location is set to flourish further, with Abingworth Meadows providing a host of new amenities including a nursery school, sporting facilities and village hall. Some of the homes are set around a new cricket green. The marketing suite and show homes are open daily from 10am to 5pm. Oakmove available, please ask for details. o	Fisher and Paykel dual fuel range cooker, combination microwave oven and chimney hood. Abingworth Meadows offers a rural retreat but with easy access to the best amenities. 	Just four miles away from the foot of the beautiful South Downs, countryside pursuits such as horse riding, cycling, rambling and fishing are within easy reach, along with stunning views of rolling hills and ancient forests. 	The White Lion Inn in Thakeham is just a 5 minute stroll away. 	The nearby picturesque villages of Storrington and Billingshurst have an array of stylish restaurants and traditional pubs, as well as independent boutiques and major supermarkets. 	The nearby A27 coastal road provides easy access to a number of seaside resorts including Chichester and Brighton. 	The new bridleway, cricket green and football pitches will offer leisure and sporting opportunities. 	Close to the renowned West Sussex Golf club and Slinfold Golf and Country Club. 	Just 7 miles away, Southwater Country Park has a vast lake offering sailing and canoeing, whilst Woods Mill Nature Reserve (15 miles away) offers walking and riding trails. 	The nearest station is just 4 miles away in Pulborough. It has direct trains to London Victoria in just over an hour. 	Billingshurst station is just 5 miles away, which also has trains into London in just over an hour. 	Abingworth is close to the A24 that runs south to the coastal road network, and also north to the M25. 	Gatwick airport is just 18 miles away.